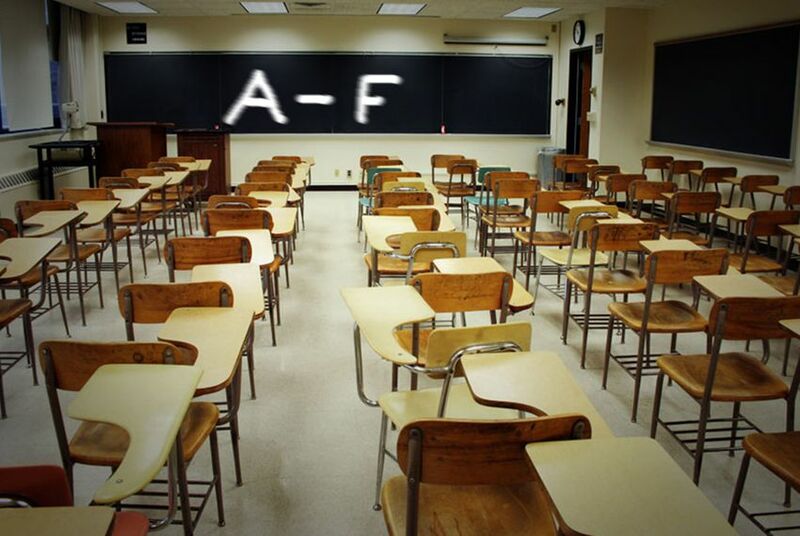 Texas has issued A-F grades for its school districts. Here's a look at what stands out. As school communities and state officials discuss their school districts' official state ratings, many disagree on what the results actually mean. Several days after Texas gave school districts their first official grades, school communities are still figuring out how to digest their report cards and interpret the results. Even school superintendents, the biggest critics of the new A-F school ratings, are poring over the data — forced to balance their mistrust of the new system with a responsibility to score high by its metrics. "I can walk and chew bubble gum at the same time," said John Kuhn, Mineral Wells ISD superintendent, whose North Texas district received an overall rating of C. "I can criticize a system that is patently unfair while also seeking to improve under that system. I do feel a great deal of pressure to move our score up." State officials have argued that giving school districts grades instead of the previous pass/fail ratings, will give parents more information to choose the best educational options for their kids. But so far, there's a lot of disagreement about exactly what the data means. Educators point to this data to argue that the new ratings benefit districts that already have resources and don't show how well school districts are performing despite the inherent challenges of educating students whose families are struggling. Many argue the ratings are too heavily based on state standardized tests and therefore are unfair to schools enrolling mostly low-income students, who tend to perform lower on those tests. "The ratings reflect a mixture of factors that are within the schools' control and that are without the schools' control," Kuhn said. "The state should not be allowed to underfund schools in a community and then slap on a failing score without acknowledging the state's role in not providing resources." "If you're looking at this B district and it really should have scored a C, there might be great things going on in that district," said Chris Jackson, accountability director at Cleburne ISD, a North Texas district that received an overall rating of C.
2. But it wasn't impossible for school districts enrolling higher rates of low-income students to do well. The majority of school districts in the state's South Texas region, which includes the Rio Grande Valley, received overall ratings of As and Bs, despite educating mostly students who are low-income and in need of additional resources to learn. State education officials have pointed to these districts to say that poverty has a "moderate" but not all-encompassing effect on the ratings. Valley View ISD, at the border with Mexico, was the traditional, non-charter school district with the highest rate of low-income students to also receive an A from the state. Superintendent Rolando Ramirez attributes the high grade to the district's programs that fill in the gaps for students who don't have a lot at home: free meals during and after school, community events with free vaccines and physical exams, and free services for parents. "We're trying to help parents and kids and alleviate, as much as we can, any expense they might have," he said. However, in West Texas' Permian Basin region, most school districts received Cs, Ds and even one F — despite having generally lower rates of low-income students than the state average. Wink-Loving ISD — a small rural district with two campuses and 400 students — scored that F, making it an outlier given its 30 percent poverty rate. "We're in the oil fields. Many of the kids who have been economically disadvantaged in the past, their parents have jobs now or have good-paying jobs," said Superintendent Scotty Carman. "In Wink, there's not much telling how many RVs we have in town. We have a lot of mobility, a lot of kids coming in from other states, from Mexico." The district would have received a D, without a feature of the rating system critics are calling "forced failure." Any district that receives three out of 4 Fs in the subcategories that make up the overall grade automatically receives an overall grade of F — no matter its actual score. 3. Some school districts did better than others at paring down the number of low-performing schools, key to avoiding harsh state penalties. In recent years, Texas has implemented a system of strict sanctions for chronically low-performing schools, including state-mandated closure of a school or state takeover of a school district. Fort Worth ISD and Dallas ISD both had 14 schools that got failing ratings last year. Fort Worth ISD boosted a couple of schools up to a passing rating. Dallas ISD whittled its list of low-performing schools down to 4, in part by giving stipends totaling up to $12,000 to high-quality teachers who choose to work in those struggling schools — a tactic state officials have expressed interest in replicating across the state. Dallas ISD is struggling to fund the stipend program's successes, as more teachers turn around low-performing schools. "We're doing so great that teachers who are not getting results are moving out, the ones who are are improving, and the ones who are doing well are reaching the highest levels of pay," said Miguel Solis, board trustee. Administrators decided this year to scale back the program in part by decreasing the number of educators eligible for stipends. 4. There wasn't a major disparity in the results for charters and traditional school districts. Charters — public schools with more freedom from state regulations — and traditional districts often compete for students in urban and suburban areas of the state. The percentage of charters receiving overall A grades more than doubled the percentage for traditional districts. But both had a comparable level of As and Bs combined. A larger percentage of charter districts scored overall ratings of Ds and Fs than traditional school districts. Laura Kelly, the Texas Charter Schools Association's director of quality, said that the percentage of low grades is amplified by the relatively small number of charter districts. Texas gave grades to 87 charter districts and 742 traditional school districts this year. Unlike educators in traditional school districts, she said she doesn't see school funding issues playing a role in the distribution of this year's ratings. "Traditional school districts struggle under limited resources the way charters struggle under limited resources," she said. "Do I think that plays out in the academic accountability system? I don't."